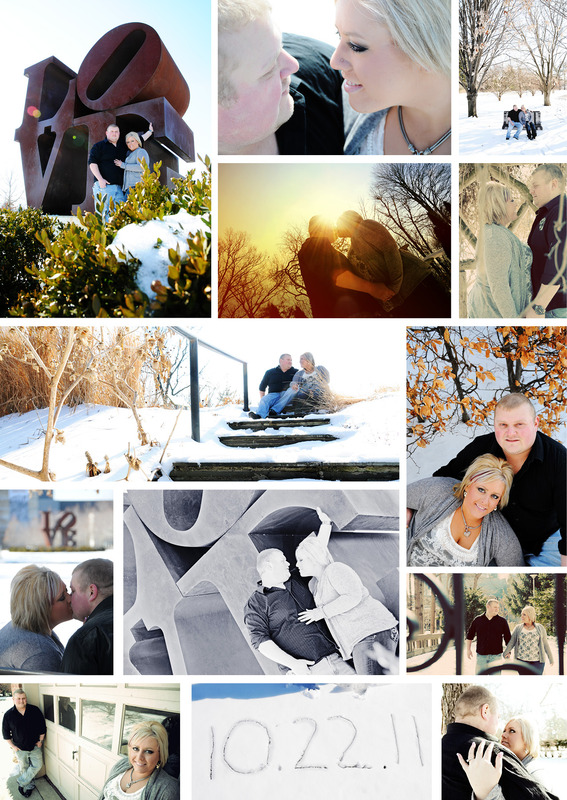 Winter is a beautiful and unique time of year to get your engagement photos done. Think about it… how many save the dates or engagement photos have you seen in the snow? It is few and far between which makes the whole idea so unique! The best time is actually after an ice or snow storm – I know sounds odd but trust me it is. The ice on the tree branches glisten in the sun, the snow is perfectly white and untouched, and no one is around to be in the background of the photos… perfect! Yes it can be a little cold but I don’t need long to get some great shots. This photo shoot was actually taken before the ice storm and it was nice and sunny for us. They were troopers!